AN ORDINANCE OF THE MAYOR AND TOWN COUNCIL OF MORNINGSIDE, MARYLAND, CHAPTER 16, (RENTAL LICENSE FOR DWELLINGS) SECTION 16-240. Licensing and inspection of rental dwellings. (a) RENTAL LICENSE. It shall be unlawful for any person to let any single-family rental dwelling or multifamily rental dwelling or rooming house within the Town without having first obtained a license or temporary certificate to do so as hereinafter provided. No license is required when at least one of the property owners resides at the property address or the tenant is an immediate family member of the owner. For the purposes of this section, an immediate family member is defined as an adult child, sibling or parent or grandparent. If no property owner resides at the property address or within fifty miles of the Town, the property owners shall designate on the application for the rental license or temporary certificate the name, address, and telephone number of a local agent residing within fifty miles of the Town, who is authorized by the property owners to receive inspection notices and other correspondence regarding violations pertaining to the property, other than citations or other legal process, and the property owners shall keep such information current with the Town. (b) LICENSE APPLICATION. Within sixty (60) days after the enactment of this section, the legal owner of record shall make written application to the Town for a rental unit license upon such form or forms as the Town shall from time to time designate. Such application shall be submitted together with a non-refundable rental license fee of $100.00 annual. The amount of such fee is to be established by this ordinance of the Council. (c) TEMPORARY CERTIFICATES. Upon receipt of a completed application for a license, the Code Enforcement Officer or designee shall issue a non-transferable "Temporary Certificate" indicating that a license has been duly applied for, and that a non-transferable license shall be issued or denied after the building, including interior portions thereof, has been inspected for compliance with applicable provisions of the Town Code. It is the duty of the property owner to ensure that the inspection occur within thirty (30) days of the issuance of the temporary certificate and that any required maintenance, repairs and re-inspection are completed within thirty (30) days of the date of inspection, except that the Code Enforcement or his designee may extend the time for maintenance, repairs and re-inspection upon a showing of good cause for such additional period as may be reasonable and necessary, at the Town’s discretion. The temporary certificate shall expire sixty (60) days after issuance or, if an extension has been granted for repairs, maintenance and/or re-inspection as provided herein, upon the expiration of such extended time period. (d) INSPECTIONS. All rental properties shall be subject to periodic inspections to determine if they are in compliance with this Code. Failure to allow entry for such inspection or to require any tenant to allow entry for such inspection upon request shall constitute a municipal infraction subject to a fine as set forth in this Code and shall further constitute sufficient reason for the denial or revocation of the rental license or temporary certificate. Whenever the town inspector notices violations he shall re-inspect the premises to confirm that the violations have been corrected. If the violations have not been corrected, there is hereby imposed an additional charge of fifty dollars ($50) for each re-inspection, until compliance has been obtained. No charge shall be made hereunder for a re-inspection unless written notice of such re-inspection has been sent to the owner of record at least ten (10) days in advance of such scheduled re-inspection. 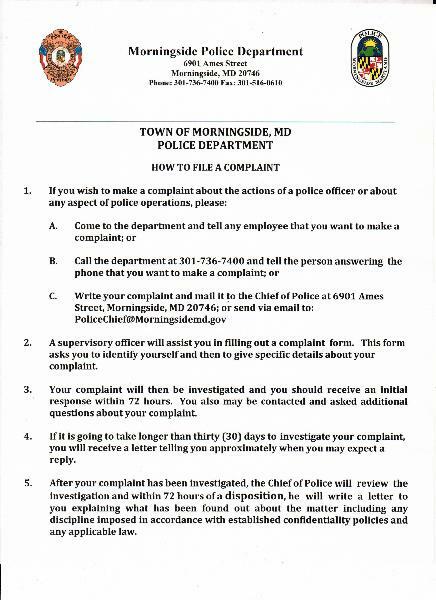 If notice of inspection or re-inspection has been given at least ten (10) days in advance of a scheduled inspection or re-inspection, and the property owner fails to contact the Town prior to the date of such scheduled inspection or re-inspection and fails to appear or otherwise make arrangements for the Code Enforcement Officer or designee to gain access to the property for inspection purposes an additional charge of fifty dollars ($50) shall be imposed upon the property owner and shall be paid prior to the scheduling of any further inspection. (e) REVOCATION OR DENIAL OF LICENSE. A license may be revoked or denied by the Code Enforcement Officer or the town’s designee, if the owner, after ten (10) days’ notice from the Town, fails to abate violations of the Town Code. Revocation or denial of a license shall be in addition to, and not in substitution for, such other penalties as may be provided for said violations elsewhere in this Code. All cost of Uniform Civil Citation incurred by the Town and or penalties imposed by the town shall be paid by the property owner of record within 30 days. Failure to pay the cost will be considered to be a forfeiture. After forfeiture, the cost may be added to the property tax bill for the upcoming year, or collected by suit, or by both. (f) LICENSE RENEWAL. Licenses and temporary certificates issued hereunder shall expire one (1) year from the date of issuance and shall be renewable annually at the fees specified elsewhere in this Code. Application for renewals shall be made at least sixty (60) days prior to the expiration date. The license or certificate renewal fee shall be subject to a ten percent (10%) penalty per month, or any portion thereof, beyond the date due and payable. (g) DISPLAY OF LICENSES. Licenses and temporary certificates issued under this section shall be produced on the demand of a tenant or prospective tenant and shall be available at reasonable times for examination by Code Enforcement Officer and or towns designee. (2) If the property is an affected property, provide the State of Maryland Department of the Environment Inspection Certificate number for the most recent inspection conducted for the current tenancy, as required under any provisions of the Environment Article of the Maryland Annotated Code.